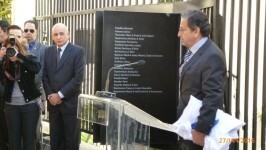 On Wednesday, 27 January 2016 the unveiling of the Greek Righteous Among the Nations monument took place at the courtyard of the Beth Shalom Synagogue of Athens. In this way the Greek Jewry paid tribute to the heroes of the German Occupation, their Christian compatriots, who selflessly saved many Jews by risking their life and the lives of their families. The unveiling of the Monument was carried out by the President of the Hellenic Republic, Prokopis Pavlopoulos, and attended by few still alive Greek Righteous and by many descendants of the Greek Righteous as well as by survivors of the German Occupation. 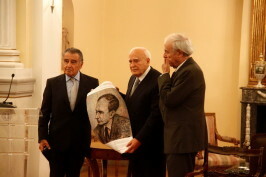 18 November 2013: Eduardo Eurnekian, President Papoulias and Baruch Tenembaum. 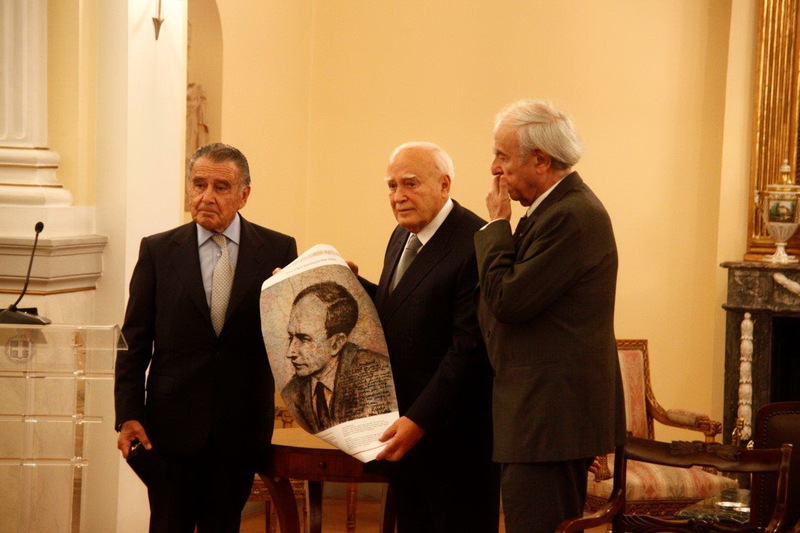 “On 18 November 2013, in a solemn ceremony held at the Presidential Mansion, the Raoul Wallenberg Foundation honored the Greek Righteous and the Greek people as represented by the then President of the Hellenic Republic, Karolos Papoulias. I attended as the then President of the Central Board of Jewish Communities of Greece. It was in that instant that this memory awoke within me. It was then that the honorable debt and the payment of tribute to the Greek Righteous Among the Nations filled my thoughts. It was then that I –as a child in hiding, who, along with his paternal family, was saved by a Greek Righteous– promised myself and all that were present that the Greek Jewry will pay tribute to the Greek Righteous.” On that occasion President Papoulias received the award from the IRWF Chairman, Eduardo Eurnekian and its founder, Baruch Tenembaum. Mr. Albalas also took the opportunity to refer to the “Houses of Life”, a relevant initiative promoted by the Raoul Wallenberg Foundation, marking places of significance to saving Jewish lives. The first “House of Life” was unveiled last year in the Greek island of Ereikousa and another is to be unveiled soon in Piraeus. 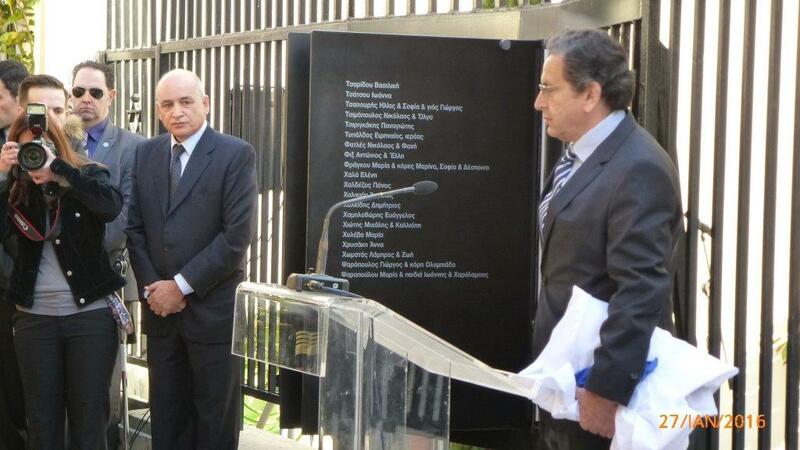 The Raoul Wallenberg Foundation attended the ceremony represented by Mr. Maurice Carasso. President of KIS, Moses Constantinis: “… Those who managed to escape deportation during the persecution, experienced the full scope of human nature: indifference – treachery – enmity – self-interest and profiteering, but also its opposites self-sacrifice, heroism, solidarity, support… The first were the rule, the second the exception… Our saviours were our only hope, the light amidst the darkness”.